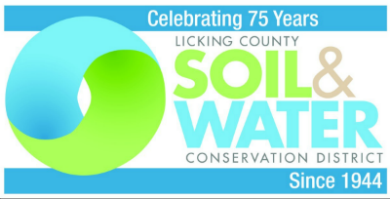 Newark, Ohio, October 28, 2016 -- Celebrate conservation partnerships and successes at Licking County Soil & Water Conservation District’s 72nd Annual Banquet. Events begin at 5:30 p.m., Wednesday, November 9, 2016, at The Grove by the River, 840 Hollander Street, Newark, Ohio, 43055. Enjoy appetizers and a cash bar, with local beer and wine, while celebrating the wonderful work of Soil & Water sponsors and volunteers from 5:30 p.m. to 6:30 p.m. Registration is requested for this complementary reception at: https://www.eventbrite.com/e/volunteer-and-sponsor-appreciation-reception-before-annual-banquet-tickets-28611098566 or by calling, 740-670-5330. Vote in the Board of Supervisors Election from 5:30 p.m. to 6:30 p.m.
Join Licking Soil & Water for a buffet dinner and awards ceremony. 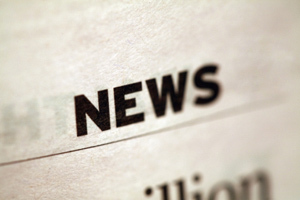 Congratulate Cooperator of the Year, Diamond Hill Farm, Lawton and Larry Coe of Washington Township; Volunteer of the Year, Scott Snyder of Pataskala; and NAAEE K-12 Educator of the Year, Jim Reding from Granville High School. Purchase tickets, $25.00 each, at www.lickingswcd.com, or call 740-670-5330 to RSVP or for more details. Reservations must be made by Friday, November 4.